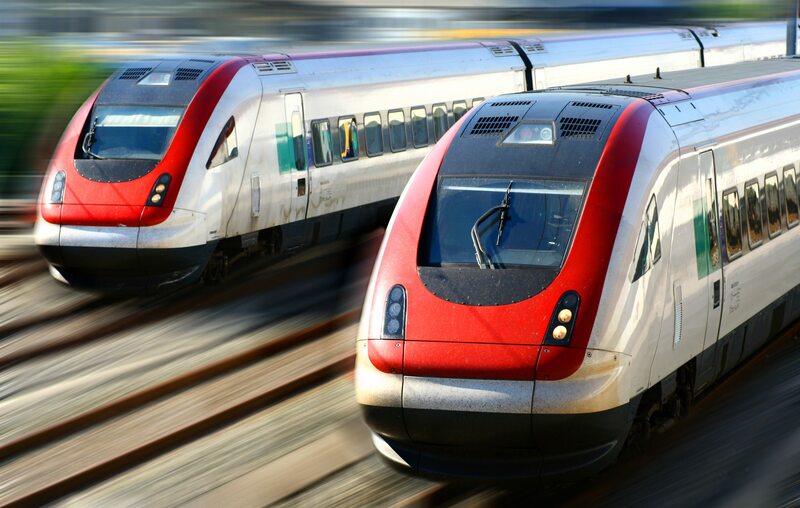 Positive Train Control (PTC) systems are a series of wireless networks that continuously monitor all train movements and provide fail-safe signaling. In the event of issues such as loss of separation between trains, wayside/trackside equipment malfunctions, operating outside established limits or excessive speed, PTC systems will implement immediate action to avoid potential accidents. CDM Electronics is a leading distributor of premium coaxial cable and interconnect solutions to help PTC become a reality where it is currently planned, and to maintain the highest level of performance where the system is already in place. CDM can also provide custom power, communications, and data transmission cable assembly solutions for PTC infrastructure, along with box builds to support operations and signal requirements. CDM has a variety of high performance, low loss 50 ohm cables in stock for PTC applications from Times Microwave (LMR® series of cables) and EZ-Form. Times Microwave LMR Cables can be used in base stations as antenna jumpers, cell towers for pole feeder runs and even air handling plenums. Times Microwave LMR Cables have performance comparable to copper cables, but are non-kinking, extremely flexible and offer easy connector installation. Coaxial cable is available online for immediate shipment from CDM’s Williamstown, New Jersey fulfillment center. CDM stocks all typical RF/coax connectors and adapters for PTC applications including N, BNC, TNC, and SMA styles, in both male and female configurations. These connectors appear onboard in radio equipment as well as trackside in both data collection and antenna applications. Connectors are available online from Delta, Kings and Times Microwave. Innovative weather seal boot systems from Times Microwave allow for easy IP-68-rated sealing of RF/coaxial interconnects. Boots install by hand and eliminate difficult butyl and mastic tape weatherproofing methods. Boot pairs are compatible with most popular cable and bulkhead connectors, and are available online for immediate shipment. The Times-Protect® series of protectors provide highly effective protection to PTC wireless communications equipment, base stations and operational facilities against lightning strikes and subsequent power surges. These unique surge protection devices address applications throughout the entire useful RF frequency range from DC with capability up to and including 6 GHz. The Times-Protect® Data Line protector family utilizes a unique technology to provide a new level of surge protection for networks. Multiple configurations and mounting arrangements allow for total installation flexibility. Connectors are in stock online. CDM Signal Storm®cables are used by some of the leading names in rail safety equipment, with semi-custom features at off-the-shelf pricing and fast delivery. CDM’s semi-custom SAFER Cables™ are designed and engineered using best in class materials and manufacturing techniques for optimum low smoke/zero halogen performance. CDM can also provide true-custom RF cable assemblies and jumpers to your exact specifications, American-made in our ISO-certified Turnersville, New Jersey manufacturing facility. CDM can provide all interconnect requirements to keep PTC support systems operating at peak efficiency. CDM stocks the most popular D-subminiature and circular connectors, RJ45 connectors, and M8/M12 interconnects from Amphenol, Binder, Conec, Eaton, Winchester and more. Connectors are available online for immediate shipment.